WoPC Home > Belgium > Carta Mundi > BG Bouw Building Co.
BG Bouw Dutch Building Company publicity deck manufactured by Carta Mundi, c.1980. 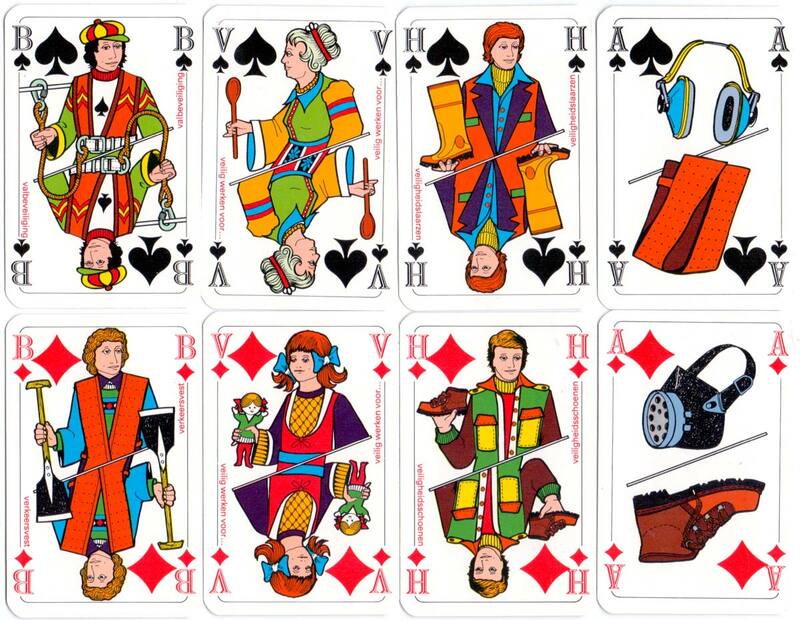 The court cards and four aces are designed in a robust style and portray builders working with various tools and equipment with an underlying Health & Safety message, judging by the unfortunate joker. 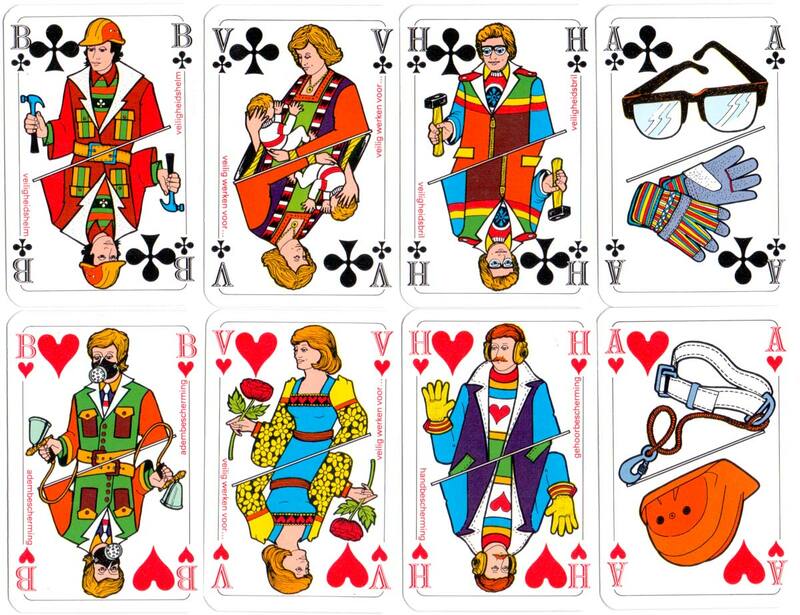 Above: BG Bouw Dutch Building Company publicity deck manufactured by Carta Mundi, c.1980. 52 cards + 3 jokers + bridge score table in box.